Help your elderly loved ones be more aware of all of the scams out there. As we have discussed in previous articles, scam artists are increasingly targeting senior citizens as victims. The perception exists that seniors are more likely to assume honesty of others and less likely to take action when they have been scammed due to their own embarrassment. In particular, scammers tend to seek out seniors who have recently lost a spouse and therefore may be unfamiliar with handling their finances. They will also target individuals who appear to be isolated from family and friends, or have a physical or mental disability. We have previously reviewed some of the most common financial scams against senior citizens. Unfortunately, crafty criminals have come up with some new and creative ways to steal money from seniors since that article. Below is a review of some of the latest financial scams perpetrated on senior citizens. Free Medical Alert Device– In this scam, a senior will receive an email or phone call from an agency stating that the person has qualified for a free medical alert device, as well as a $3000 cash prize. The senior is then asked to provide both personal and banking information in order to receive their prizes. Hotel Account Issues– Senior citizens staying at hotels may be targeted for this scam, in which they will receive a phone call in the middle of the night from someone who claims to work at the hotel desk. They tell the senior that there has been an issue with their credit card, and asks them to provide their credit card number and expiration date over the phone so the hotel can run it through again. Only later will the senior discover the call was fake. 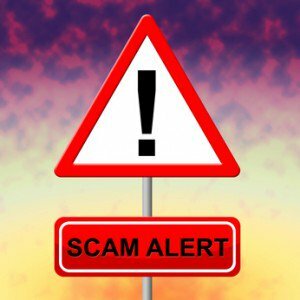 Grandchild in Trouble– This scam involves a senior receiving a call from someone claiming to be their grandchild. They will never provide their name, and claim insult at the senior for not recognizing their voice if they are asked for it. The caller then asks for money to help them out with bills, and begs the senior not to tell anyone in the family about their request. To avoid these traps, it is important to remember that you should never give your personal information over the phone unless you have initiated the call and know precisely who you are speaking to. If someone contacts you out of the blue claiming you have won a prize when you have not entered a contest, hang up immediately. If someone calls to ask you for money, do not be afraid to ask clarifying questions that will help you to verify exactly who you are speaking with. When in doubt, ask for the caller’s phone number so you can call them back; in many case, this will get a scammer to abandon the call immediately.